Gifts from the Pirates: "The excellence of a gift lies in its appropriateness rather than in its value." I had every intention to write a '10 top toys for Christmas' post. 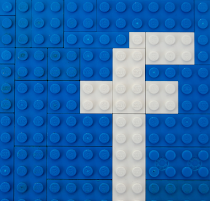 Its a popular thing with bloggers and a great way to promote some of the great products you have reviewed throughout the year. I could have easily picked 10 great products from 2015 but every time I thought about it, I was brought back to the product that has made me the happiest this year and last. So instead I decided to fully embrace that and write a top 10 reasons for buying a Micro Scooter this Christmas. 1. 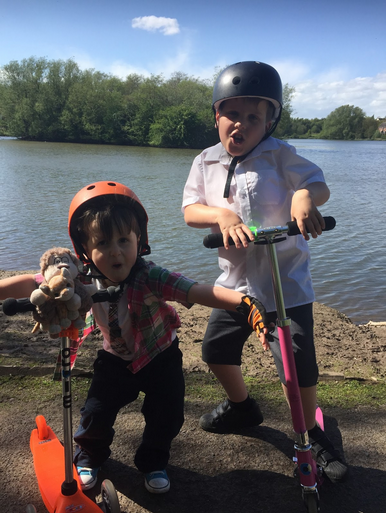 (and probably the most important for me) Owning a Micro scooter myself as well as the children has added an extra level to the relationship and bond I have with the boys. We can whizz around at the park together or Fill a back pack up with awesome gear and go adventuring. 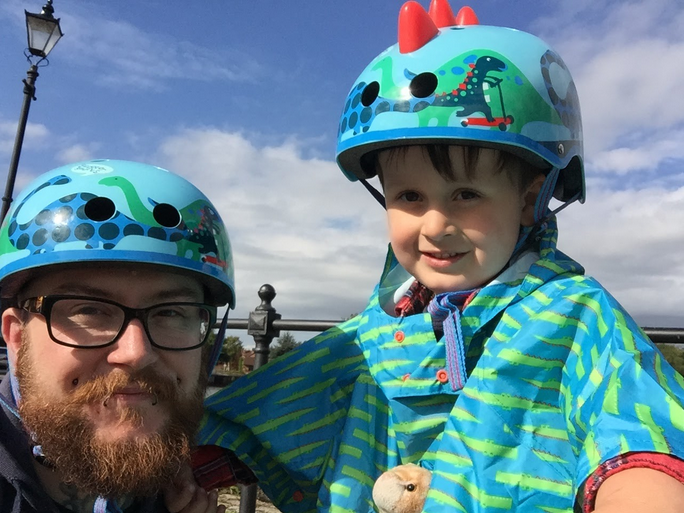 Getting about on scooters is far more personal and interactive than driving somewhere with them in the back. 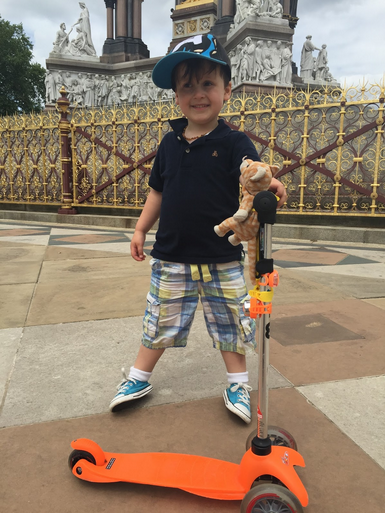 Scooting gives me fun quality play time with the people I love the most. 2. We spend a lot of time travelling around in the car. So its always nice to have days where we do things by scooter. Its amazing how far you can actually get on two small wheels and it is a great lesson for the boys in lessening our carbon footprint. The scooters have also given us the chance to see places from a different perspective, which was amazing earlier in the year when me and Opeie spent 4 days travelling around London by scooter together. 3. When Seth talks to me about school he is always telling me how much games consoles monopolise their play time and how many of the children spend their weekends sitting in front of a screen. Although Seth and Opeie love gaming they play in moderation and they know how important it is to be outdoors doing things. Scooting is awesome exercise, so even if the boys have a day in the house because we haven't go much on, we always try and get in some scooting to get the heart pumping faster. 4. 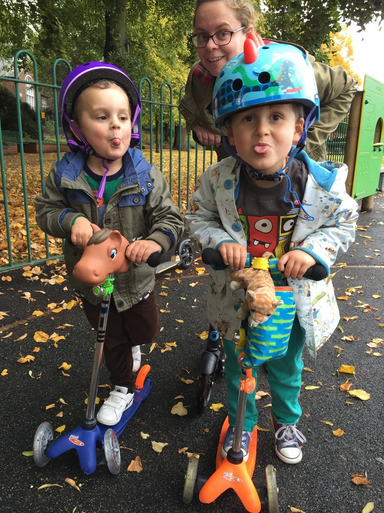 Scooting has given both of boys a huge boost in independence. With Seth it was a way of getting around quicker because of his muscle condition and for Opeie when he first started it made him feel like he was part of the gang, speeding around with the big boys. 5. Although bikes are great, they are huge and take up so much space in the car. 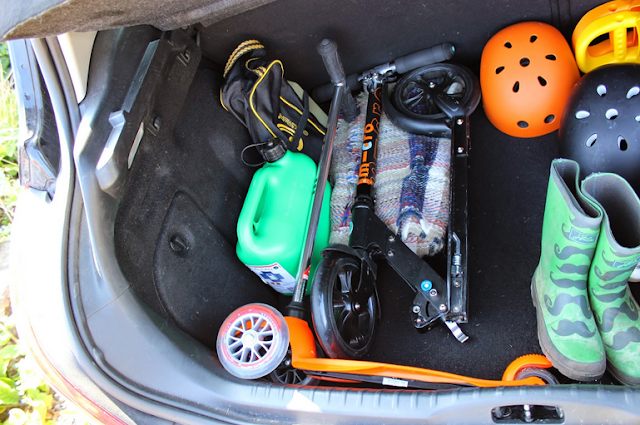 Micro scooters collapse and the handle bars can also be folded down taking up minimal space in the boot. We have four scooters in our boot at all times and there is still more than enough room for helmets and shopping. It is great knowing that wherever we end up during the weekends the scooters are there with us if there is somewhere safe to scoot. 6. If the scooters themselves aren't exciting enough for you (we know they are!) 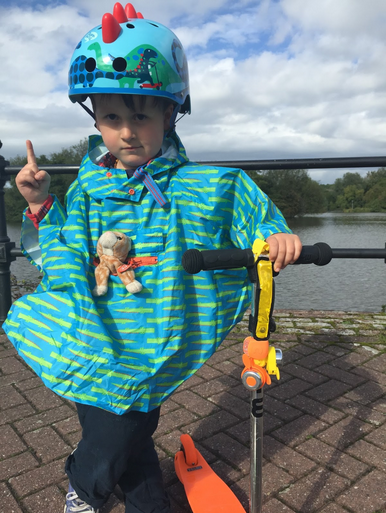 there is also a huge amount of accessories to chose from to add even more glamour in to your scooting experience, Helmets, Poncho's and lighting all help to make an even safer, more stylish and fun addition to your scooting adventures. 7. The quality and design of these is one of the big attractions for me. 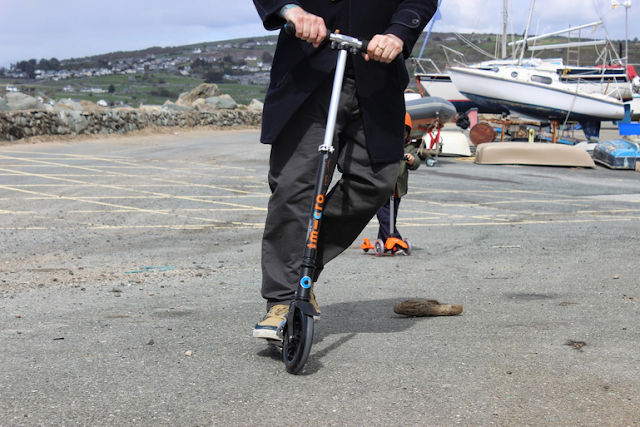 They feel safe and sturdy and it is clear that a lot of thought has gone in to creating these amazing scooters. The way they fold down is great and the smoothness of the ride on the suspension scooter, the flex and the flex deluxe really makes for a more comfortable scoot. 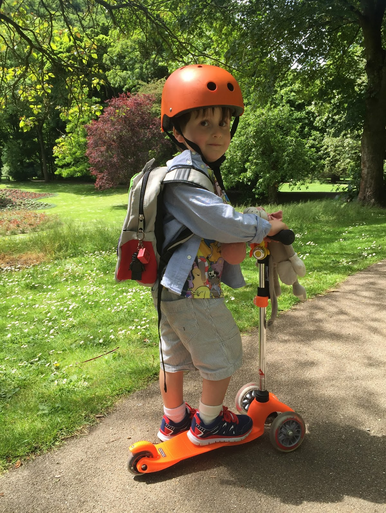 Also that v shape on the mini Micro is perfect for transporting if you are scooting with the children and little legs get tired. 8. From a parent scooter enthusiast's point of view, owning a Micro Scooter makes me feel like a kid again. I love being right in the middle of the action with the boys and when we have visitors over we nearly always get them out on the scooters with us. 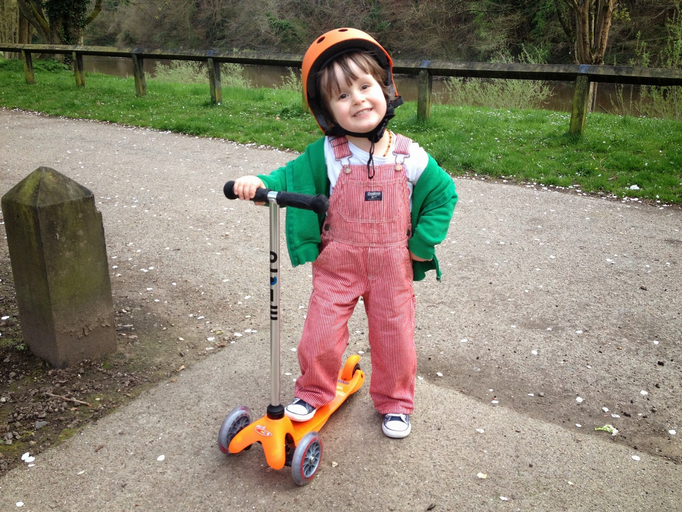 Our friend Jess visited us this weekend and we all went out scooting (despite the cold weather and crazy wind). 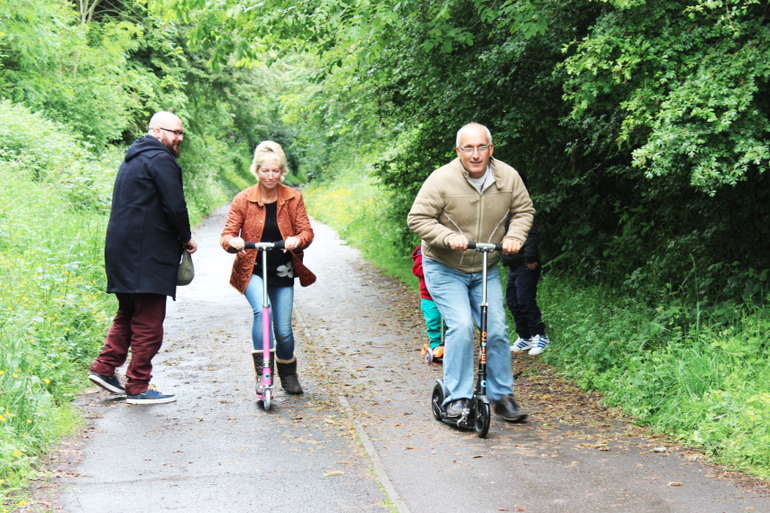 We now have scooter buddies over at Another last story and even the boys grandparents have been out with us too. 9. 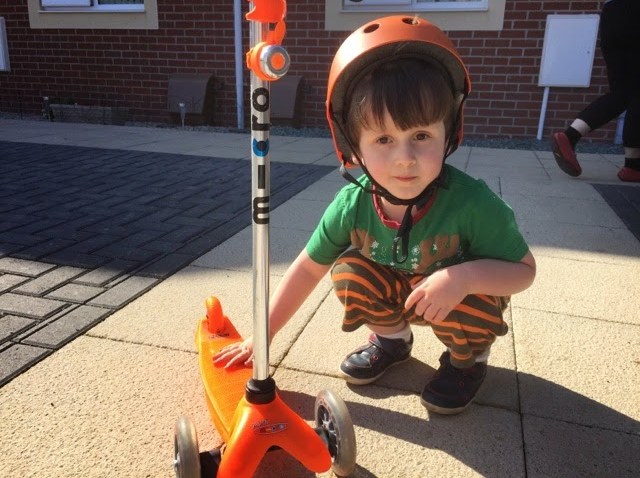 One of the things that I have always loved about Micro Scooters is they are a company that makes products that grow with your children. From the Mini2Go for nursery children all the way up to the great selection of adults scooters. They are covered making sure they can have 2 or three wheels under their feet all the way through their development and when they have reached the peak of their growing years and move in to adult hood there is a great selection for us big kids to continue playing with our own little ones. 10. The scooters have given me a great diversion for Opeie when it comes to his home schooling. Occasionally hes just not in the mood for writing and numbers and on these days he can get a little frustrated if he makes mistakes. My answer is always 'shall we go out on the scooters for a bit'. Scooting seems to really clear his head and relax a little which has been really great for us having a productive day. Amazing right! It'll probably blow your mind that they also make an electric scooter and a pedal version which both look very interesting. 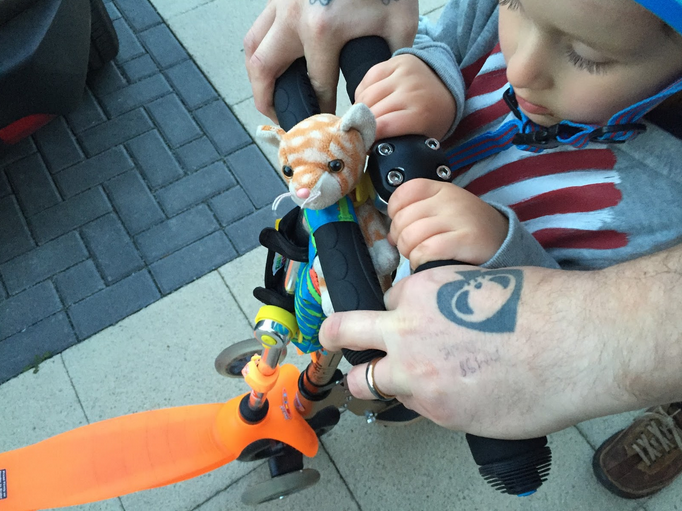 I could go on about the impact Micro-Scooters has had on us as a family, its a product I am really passionate about and something I want other parents to experience. Whats better than buying a gift that you can get out on and use together! Merry Christmas Scooterers (I'm making it my mission to make that a word).